The 2017 Kia Optima is now available at the Ed Voyles Kia dealership serving Atlanta. This beautiful new model is based on the all-new redesigned 2016 Kia Optima the new 2017 Optima Hybrid offers gorgeous exterior styling, accentuated with a new sports-style grille and an elegant, upscale cabin environment for supreme comfort and style. Standard or available convenience features on the new Optima hybrid include the Hands-free Trunk Open feature with Smart Key, a Wireless Phone Charger and Surround View Monitoring (SVM). 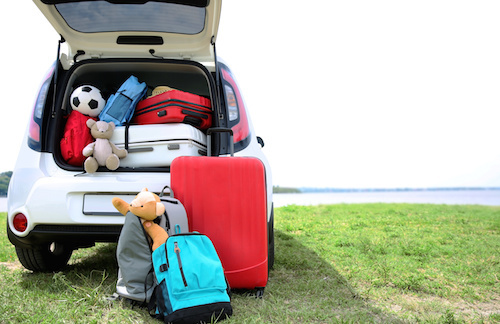 Convenient connectivity features with smartphone-projected navigation enhanced with Android Auto and Apple CarPlay, are also in place. There is an upgraded AVN 4.0 Navigation system combined with the Harman/Kardon QuantumLogic™ Premium Surround Sound Audio System , which includes 10 speakers, Clari-Fi™ technology and a 630-watt digital amplifier for unparalleled sound quality. The new Optima is powered by a new 2-liter GDI (gasoline direct-injection) engine, a more powerful electric motor, and a larger-capacity battery, the new 2017 Kia Optima Hybrid delivers a 10 percent increase in fuel efficiency than previous models. This new model has a faster transition time between electric and conventional power for a more efficient and seamless driving experience. The 38 kW electric motor and clutch replaces the traditional torque converter to provide strong off-the-line acceleration and power assistance to the engine when necessary. These new powertrain improvements allow for a combined output of 193 horsepower and 6,000 rpm. An all-new Eco-DAS (Driver Assistance System) is in place on the new Optima Hybrid. It features one of Kia’s latest technologies, the Coasting Guide. This new feature coaches the driver on when to coast and brake via an icon in the Instrument Panel that blinks for four-seconds and sounds a one-time audible alert. By using this feature the driver can better control and maximize fuel economy. 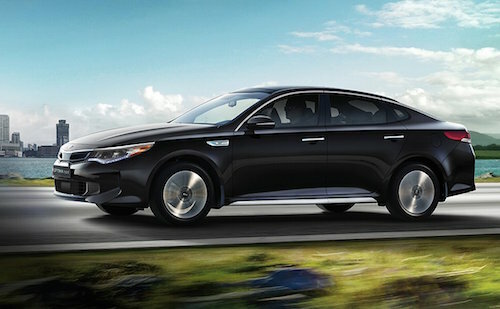 Other intelligent technology found on the new Kia Optima Hybrid includes Kia’s Autonomous Emergency Braking (AEB), Blind Spot Detection (BSD), Advanced Smart Cruise Control (ASCC), Lane Departure Warning System (LDWS) and Front Collision Warning System (FCWS). These state-of-the-art- safety features work together to make the new Optima Hybrid one of the safest on the road. Inside the cabin are high-quality materials for seating and surfaces. Extra padding to seats for improved headrest, upper back and thigh support have been made. New heated and ventilated front seats as well as power adjustable driver and front passenger seats are also in place. A new instrument panel featuring a wider center console with streamlined function keys and buttons is one of the many new features Kia has also incorporated into this new model. We are thrilled to offer the 2017 Kia Optima Hybrid for sale or lease in the Atlanta, Georgia area. If you would like to learn more about this exquisite new model or if you would like to schedule a test drive please Contact our Kia Dealerships.